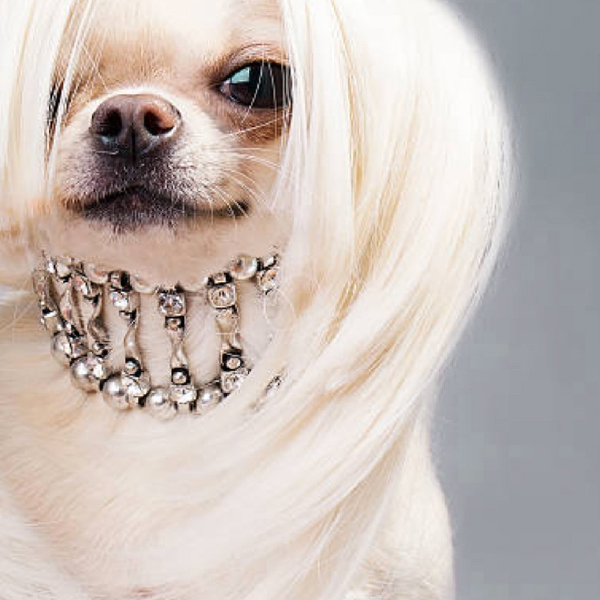 Advertising series for the Hudson Valley Humane Society. 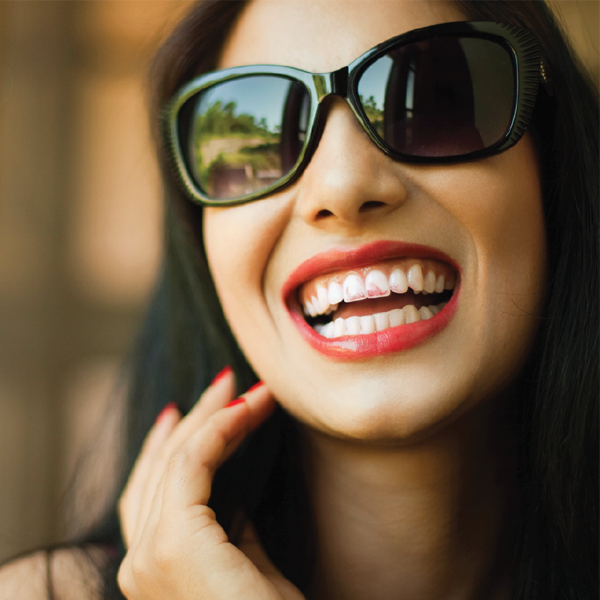 Online web banners to promote the "Lucky Ones" ad campaign. 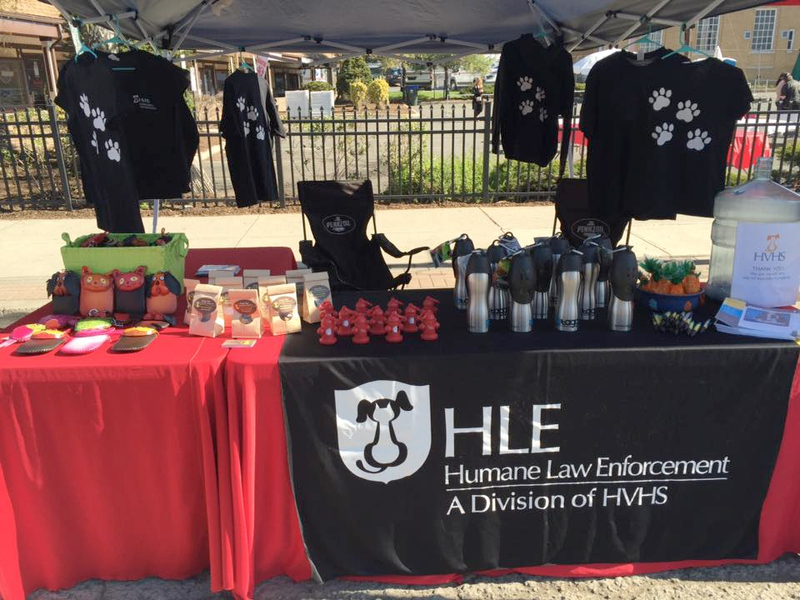 People often ask “why should I adopt from a no-kill animal shelter if I can rescue an animal who needs immediate help?” This is a valid question and the HVHS wanted to help people understand that no-kill shelters need help in order to accomplish their goal – saving as many animals as possible and fight animal cruelty. 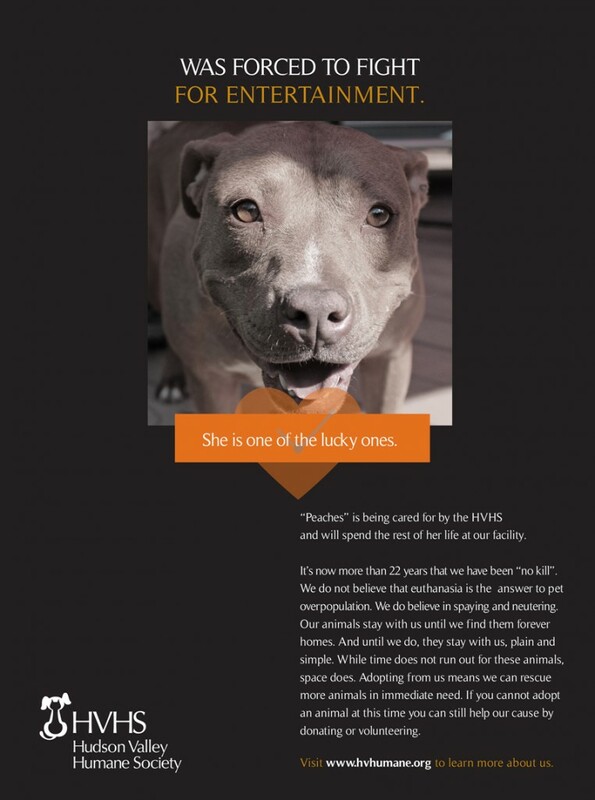 The latest advertising campaign called “The Lucky Ones” is touching and powerful. 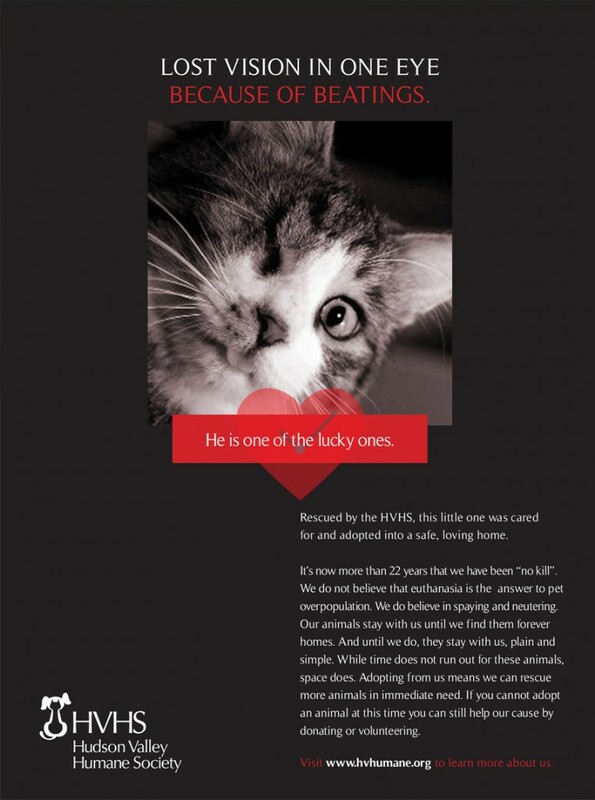 The ads feature animals rescued by the HVHS from various cruel conditions. 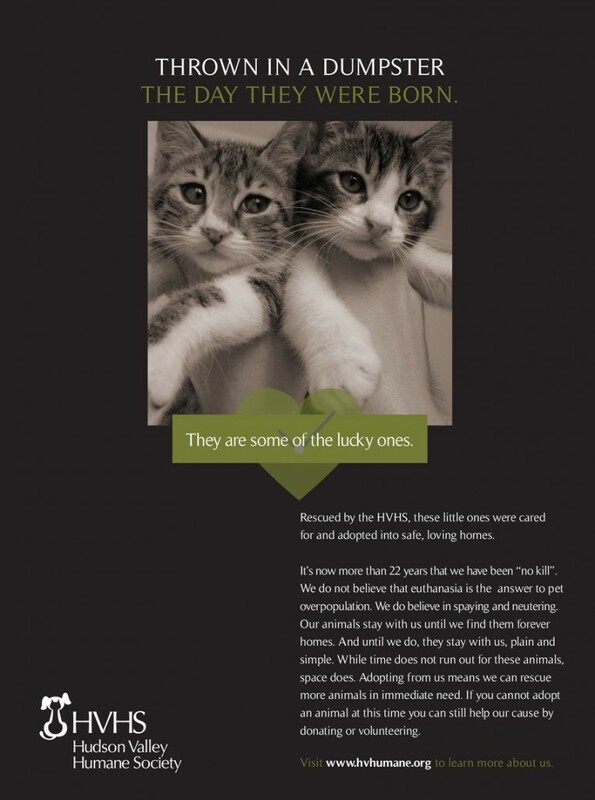 They emphasize and explain the importance of supporting no-kill shelters with strong and empowering copy. 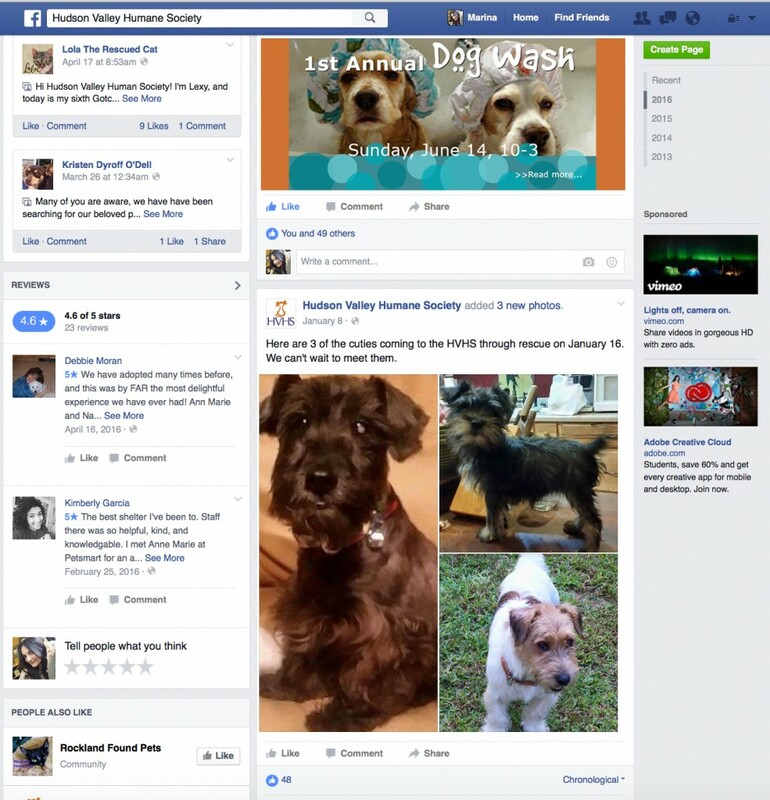 Web banners were also created to increase awareness. 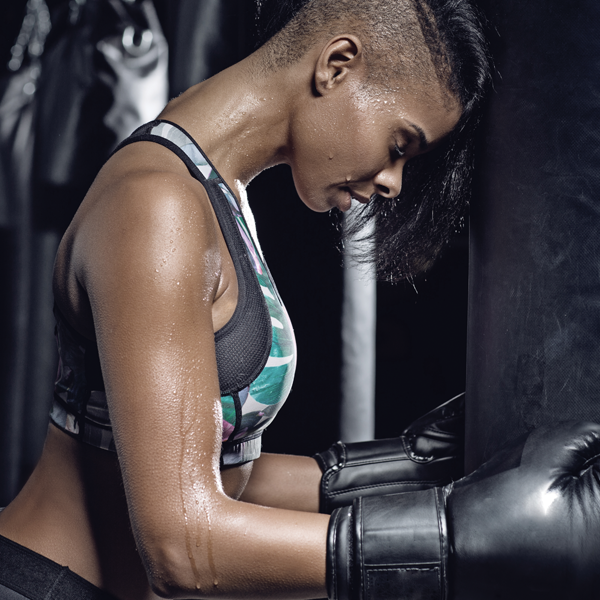 With a small budget but big hearts, the campaign was extended to one minute videos to be promoted on Facebook and other social media channels. The campaign gained a lot of momentum resulting in additional supporters. 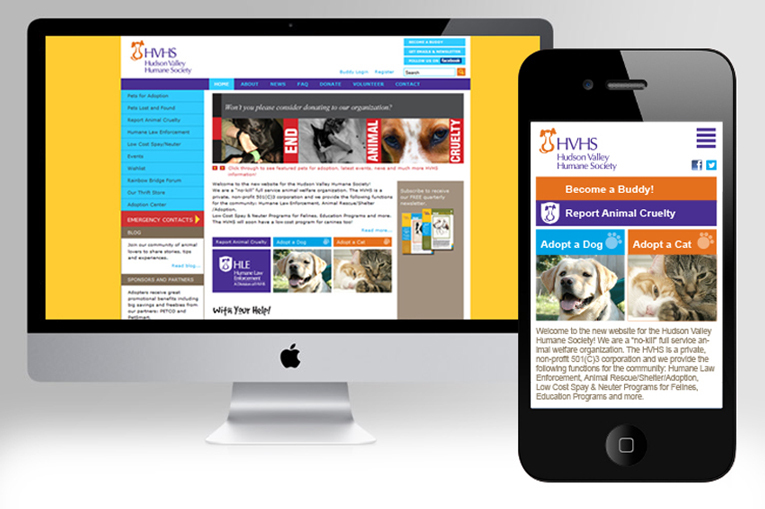 It also increased traffic to the HVHS website which led to more adoptions. 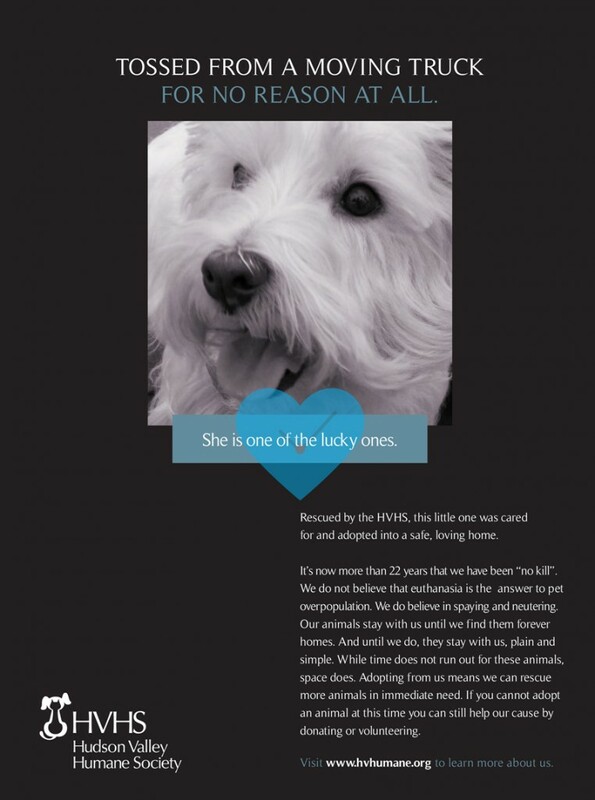 A touching and powerful ad campaign called "Lucky Ones" emphasizes the importance of no-kill animal shelters and features animals rescued by the HVHS. 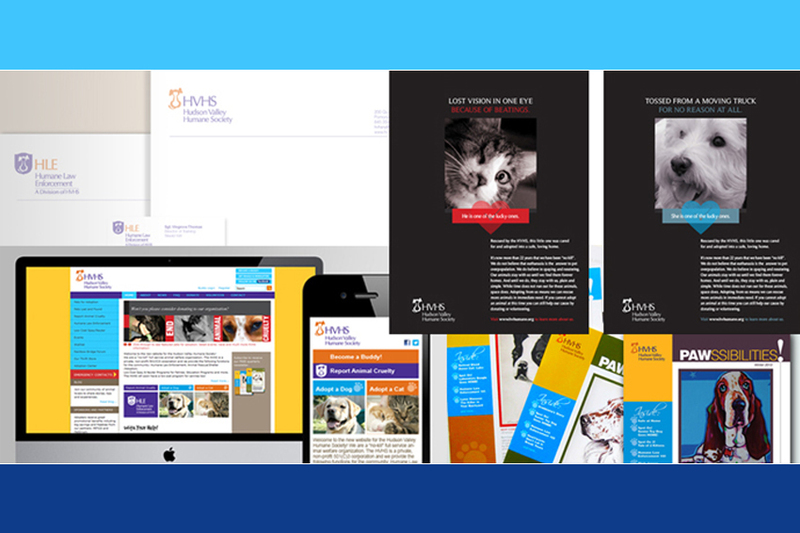 Complete branding of the HVHS included logo, stationary, adoption forms, website, publications along with digital and print advertising. 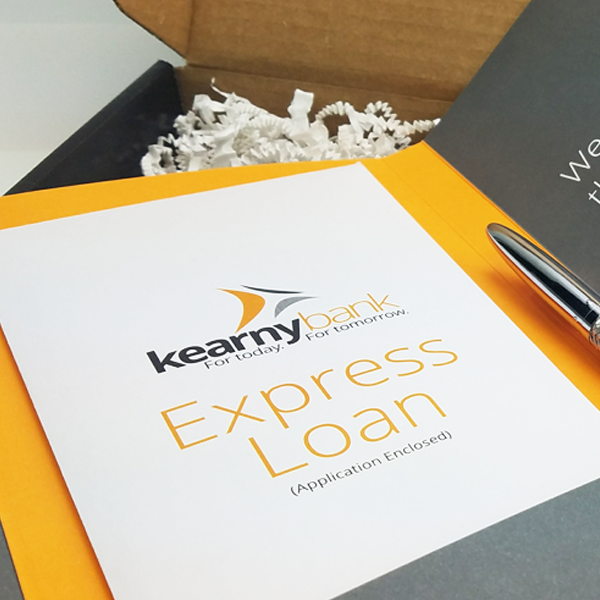 Engaging and user-friendly website that allows for quick updates. 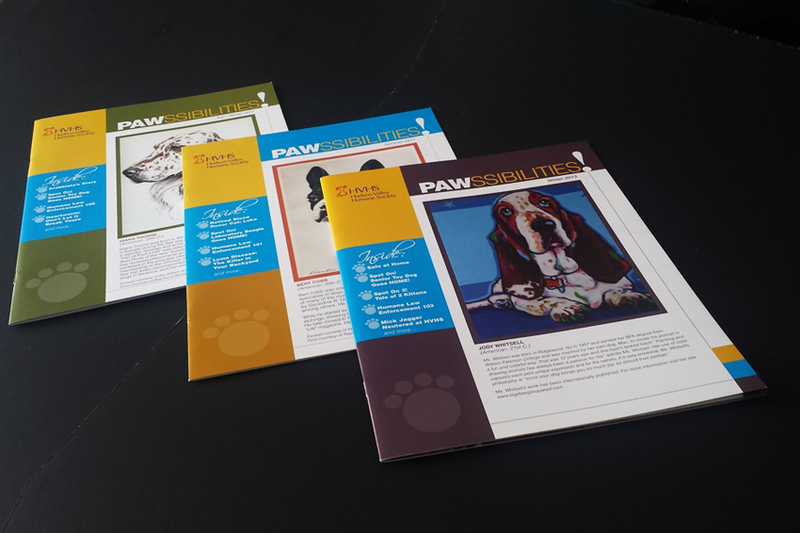 "Pawssibilities" publications feature colorful paintings of dogs by past and present artists. 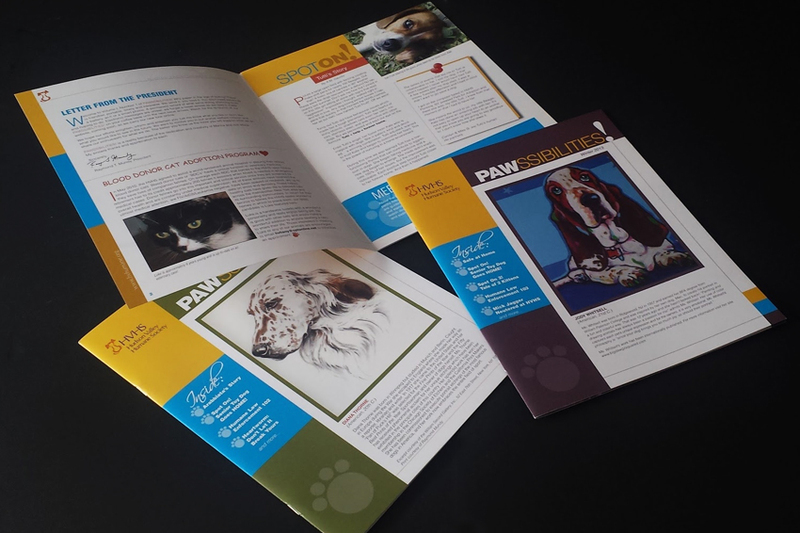 The publication talks about all the accomplishments of the HVHS with the help of its supporters who make it all possible, hence the name Pawssibilities. 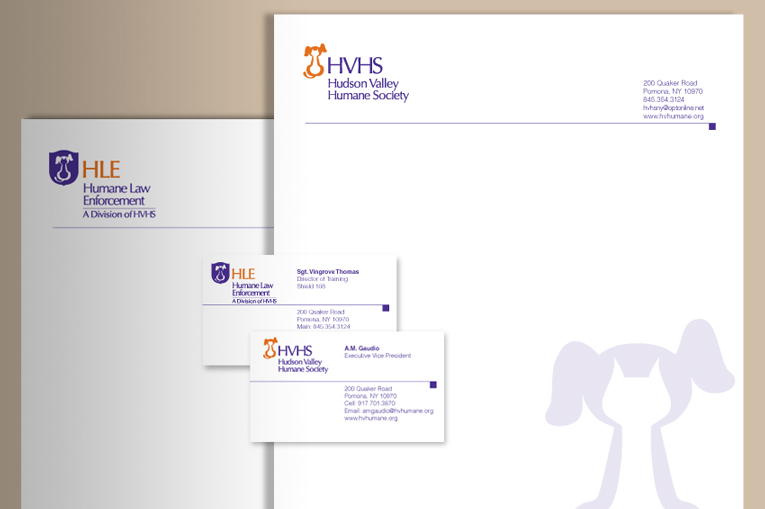 HVHS and HLE (Humane Law Enforcement division) logo and stationary design.